REDUCE . REUSE . RECYCLE . 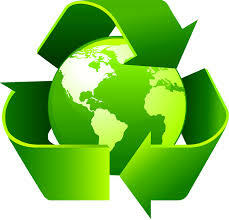 Arroyo is going green with our Green Initiatives & Recycling programs on campus. Once a month, Mustangs face off in a friendly recycling competition to see which class can bring in the most plastic and aluminum recyclables! Arroyo also partners with OhmConnect to get cash back for our school when we conserve electricity. Sign up HERE to earn money for our school through your electric company.